Costa Coffee, the largest coffee chain in UK, has committed to recycle an equivalent volume of takeaway cups bought by customers. 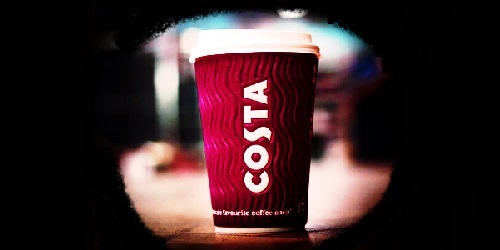 According to Costa Coffee, hundreds of millions of recyclable takeaway cups needlessly end up in landfills each year. This move is ideally aimed toward recycling up to 500 million cups a year by 2020. According to estimates, 2.5 billion takeaway cups are used in the UK each year. This move would thus fulfill the annual goal of recycling one fifth of all the takeaway cups used in UK, by reaching the mark of recycling 500 million cups. Costa will be incentivizing waste collectors with a supplement of £70 for each ton of cup collected and transported to recycling plants. Costa declared that the investment is being made on the company’s behalf and will not affect consumers. At present, only one in 400 takeaway cups is recycled as ordinary systems cannot properly recycle the polyethylene lined cups. Additionally, there is a lack of initiative in sending the cups to designated recycling plants. As per sources, environmental concerns regarding takeaway cups ending up in landfills have been reflected elsewhere as well, prompting UK MPs to levy 25p tax on all hot drink takeaway containers. While others like Waitrose have planned to eliminate the use of disposable coffee cups altogether, Costa offers a 25p discount if a customer brings a reusable cup. Costa will partner with five national waste collectors namely Biffa, Grundon, Veolia, First Mile, and Suez to carry forward the project. The success of the project will result in UK paper mills, DS Smith, ACE UK and James Cropper boosting their polyethylene plastic recycling capacity from 14 million to 100 million cups per year. Costa managing director Dominic Paul has been quoted stating that this move is aimed at transforming UK’s recycling infrastructure to be more consistent and effective. He added that with other coffee chains undertaking similar initiatives, all takeaway cups in UK can be recycled by 2020.